Breathtaking & the last two tracks on this are bona-fide classics in their own right. The album rocks from start to finish though and is well worth buying. 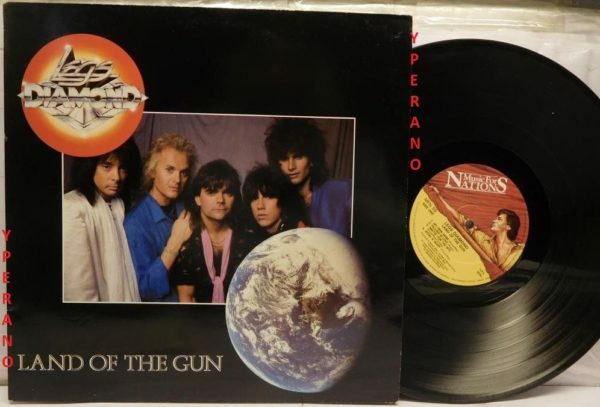 ‘Land Of The Gun’ was a self produced affair, the band being in a position to record an album the way they wanted, the general consensus being that no producer had ever been able to capture the true feel of the band. 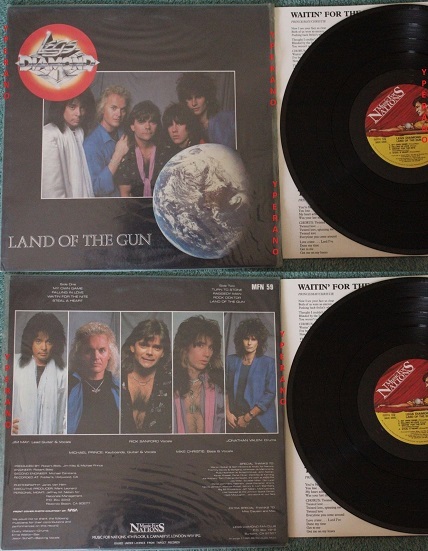 A misunderstanding led to the Music For Nations released version of ‘Land Of The Gun’ having the titles of two tracks, ‘Twisted Love’ and ‘Right Between The Eyes’, printed on the album cover and the lyrics for both songs on the inner sleeve even though they do not actually appear on the record itself. Although with hindsight a European tour at this time would have been a huge advantage, the determination of Legs Diamond to regain lost ground in their homeland with a resounding “We’re back!” is understandable. With new album “Land Of The Gun” delivered onto a waiting audience, the bands profile had never been higher. Magazine articles in many languages grew ever more plentiful. One of my all time favourite bands released this follow up to the classic Out On Bail album in the ’80s following the departure of drummer Jeff Poole. 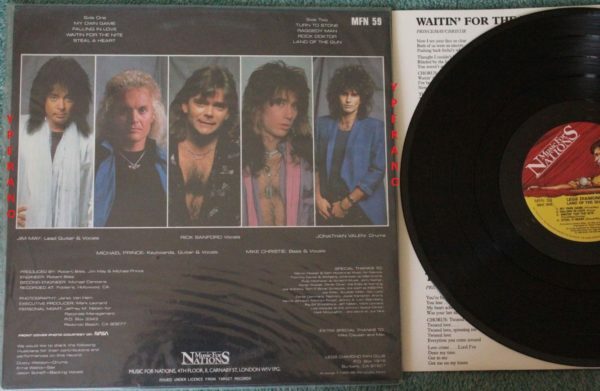 Replaced with Dusty Watson formerly of Lita Ford’s band, this album is a melodic rock masterpiece and covers a lot of styles whilst retaining Legs’ identity throughout. Every track is a winner, from the opener My Own Game with its pulsating riff and huge rhythm section, through the ultra melodic Deep Purple influenced Steal A Heart to the hard and heavy Rock Docktor fans of the band, and melodic hard rock lovers everywhere will lap this up. 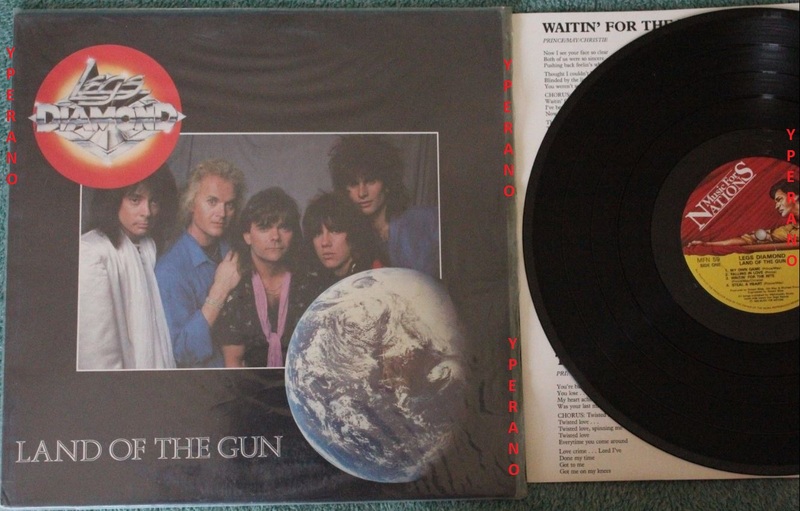 Special mention must go the absolutely awesome song Turn To Stone which is just one of the best songs the band ever recorded. 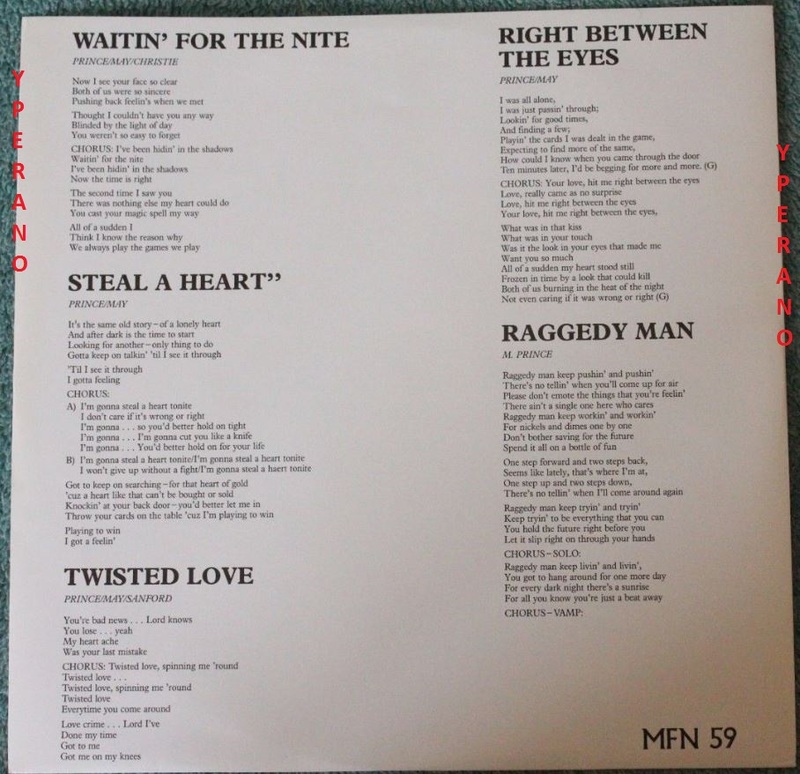 The whole album is full of fantastic musicianship, Jim Mays guitar work smokes, to Mike Princes brilliant keys and God like vocals of Rick Sanford, this album is absolutely essential. 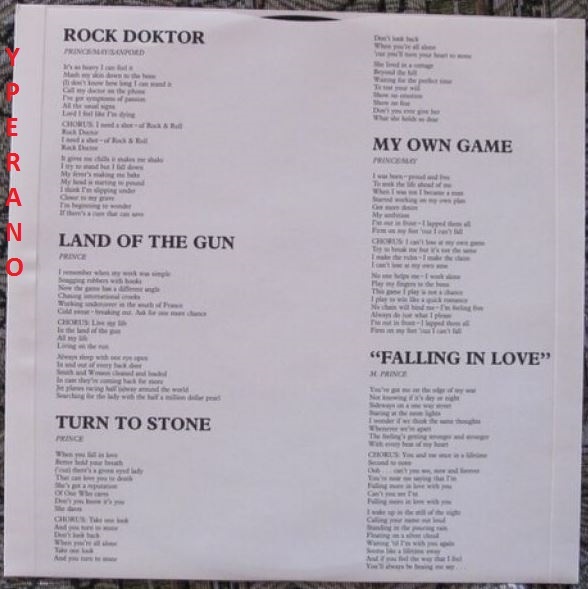 “My Own Game”,”Falling In Love” & “Turn To Stone” (best tracks). When you fall in love, better hold your breath. ‘Cause there’s a green eyed lady, that can love you to death. She’s got a reputation, of one who cares. Don’t you know it’s you, she dares. Take one look, and you turn to stone. Don’t look back, when you’re all alone. ‘Cause you’ll turn your heart to stone. She lived in a cottage, beyond the hill. Waiting for the perfect time, to test your will. Show no emotion, show no fear. Don’t you ever give her, what she holds so dear. 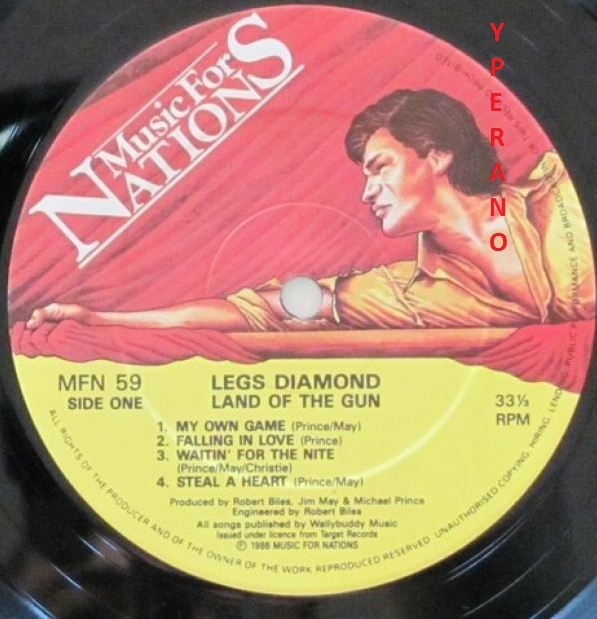 SKU: YP-1726 Categories: All Genres, AOR, Hard Rock, Search by Media Type, 12 "